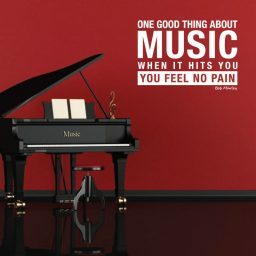 There is something special about music and its ability to influence the thoughts, feelings, and emotions of those who listen, play, or sing. 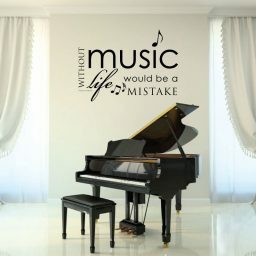 Music themed vinyl decals from CustomVinylDecor help you to reinforce the value of good music in your living spaces, including at home, in a music studio, a school classroom, at church, in the office, or wherever you want to celebrate the power of music. 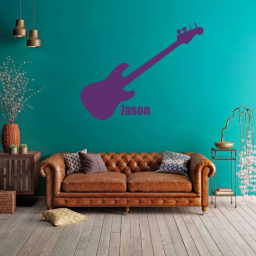 Our music themed vinyl decals can be placed on your wall, on a window, a mirror, your car, or on other types of flat surfaces, just as long as the surface doesn’t repel vinyl adhesive. Almost all of our vinyl decals can be customized by choosing a size and color. We have 25 different colors to choose from, and our sizes range from small to medium to large and even giant ones in many cases. You can also personalize many of our decals with a name, and in some cases you can enter other custom information you’d like to have us include in the decal. 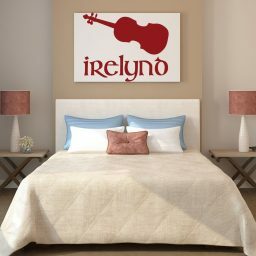 Our decals are made on demand by a group of hard-working stay at home parents who are determined to get you the decor you need to make your home even more yours.